10 currently available in stock to buy now. Call (01604) 780525 if you require more. 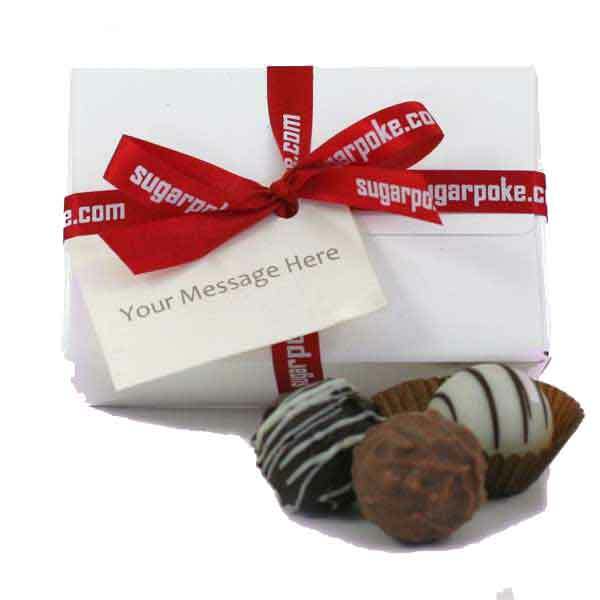 2 Champagne Truffles, 2 Milk Praline Truffles & 2 Dark Ganache Truffles housed in a cute white box complete with a vivid red ribbon and a gift tag featuring a your personalised chosen message. Just place your order and we’ll get in touch to ask you what you want us to print on the tags. Individual names and/or messages are no problem! Want to know what our customers think?